Community Day presented by RBC on Saturday, June 15 is Langara’s key event of our 49th anniversary and an opportunity to celebrate our past with our community. We’re creating the Then, Now, and Beyond 49 Zone for display at Community Day, where we’ll feature important moments from Langara’s past and celebrate our journey over the past 49 years. And we need your help. 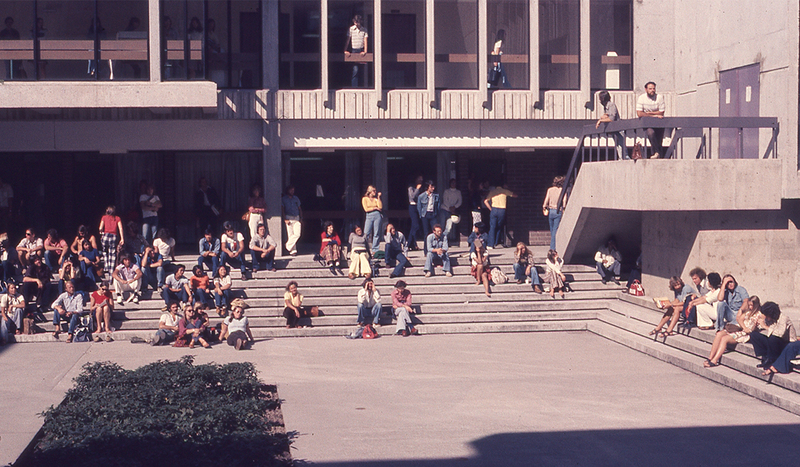 Do you own a piece of Langara history? Have a key highlight or story to share? Much of our rich history lies with you; the staff, former students, and faculty who have witnessed how far we’ve come since 1970. We’re currently looking for any interesting artefacts, photos/videos, or stories from our past to be part of the exhibition. We’ll be working with Records & Archive Management and may also be reaching out to individual departments for ideas. If you have any items that may be suitable or suggestions, please email beyond49@langara.ca. Help us share our proud history with the community. *Items will be returned to their owners. Want to share a short celebratory message? We’re also collecting short messages from our community to be part of the display. What does Langara mean to you? We have a lot to be proud of over the past 49 years. Share what you are most excited to celebrate about Langara on the Beyond 49 website.